Caio Terra is a Brazilian jiu jitsu black belt under Master Paulo Maurício Strauch being also one of this sport’s most accomplished rooster-weights (57,50 kg/127.0 lbs). 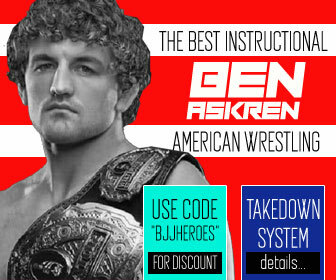 Terra is known for his motto “Technique Conquers All”, an expression he tested successfully on numerous occasions, being arguably the most successful 127 lbs athlete to compete in the open weight division. Caio Terra’s outspoken nature, particularly against Performance Enhancers’ (PED) use in the sport was also an important step towards the drug testing enforced today by the International Brazilian Jiu Jitsu Federation (IBJJF). Caio Terra was born on 1986 in Rio de Janeiro, Brazil. 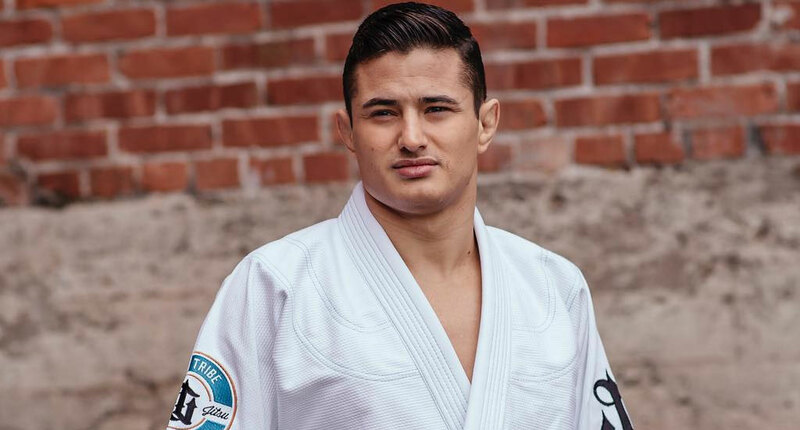 Caio Terra’s started jiu jitsu in the early 2000’s, and even though his introduction did not look promising, he was forced by his mother, to keep practising after a series of bullying episodes took place at school. Caio was a very small teenager weighing around 85 pounds (38kg) at the time, and his mother felt he needed to train a martial art for self defence purposes. As Caio refused to train his mother joined the class forcing her teenage son to tag along. The gym chosen by his mother was the famous Fight Zone academy in Copacabana, led by Rodrigo Medeiros and Ricardo Vieira. 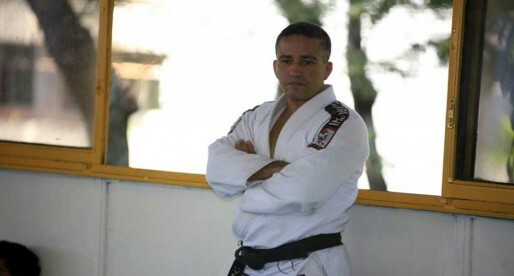 Although he had two multiple time World Champions working towards improving his technique, Caio did not give much thought to the sport/martial art and much rather spend his time playing football (soccer) with his friends. Fortunately Terra did not quit as he believed he owed to his mother the effort of giving jiu jitsu a chance. Despide his lack of effort Caio’s technique developed to the standard of blue belt, being promoted by “Comprido” and Vieira. After Caio received his blue belt, his coaches and training partners encouraged him to compete. Terra lacked faith in himself, and in his first competition, after his 1st match win, he was so nervous that he asked his coach to quit. Terra did not want to enter the mat for his 2nd match. His coaches insisted and so he fought again, another victory. One by one Caio beat his opponents on his way to the final. His final match was against a teenager that would become his nemesis in the black belt division later in life, Bruno Malfacine. The match against the Gama Filho competitor (later became Alliance) was a backwards and forwards battle but in the end Malfacine managed to take the win. After this roller coaster of emotions Caio was convinced that grappling was something he wanted to take seriously and started training every day, twice a day. Caio Terra’s progress was clearly visible with this new found enthusiasm and dedication. In 2004 he competed in the World Championship as a blue belt reaching a silver medal (losing in the final by one advantage). Shortly after the tournament (August 2004) Caio left Fight Zone in a dispute with coach Ricardo, finding a new home at Paulo Maurício Strauch‘s academy. Around this time Caio planned to have a matted area in his home for him to train with friends. He took down a few walls and built a mini academy for himself. This arena would serve as the laboratory for Caio’s rocket fast rise to black belt. His house was used as an open mat for whoever wanted to come by to roll or drill positions. Caio would get visits all day, some times late at night, but being a good host and always eager to train he would always open his doors. Going through the belt system at the Strauch academy, Caio received his black belt from both Reyson Gracie and Paulo M. Strauch on July 2006 making his rise to black belt one of the fastest ever recorded. 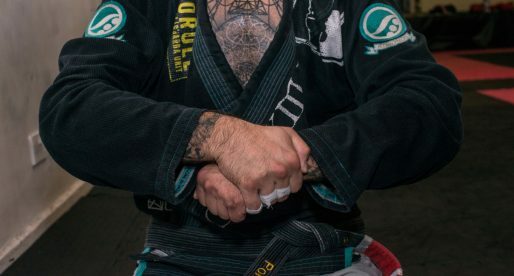 His promotion “landed” on the same year in which the IBJJF set minimum time frames for each belt, making it mandatory for a brown belt to stay in this belt division for a minimum of 1 year before being promoted. As Caio had not hit the time frame outlined by the federation, he was blocked from competing at the 2007 Brazilian Nationals (Brasileiro). Later that year, and although the federation had plans to veto Caio (and Bruno Malfacine for the same reason) from the World Championship, the IBJJF made a last minute exception accepting both athletes in. 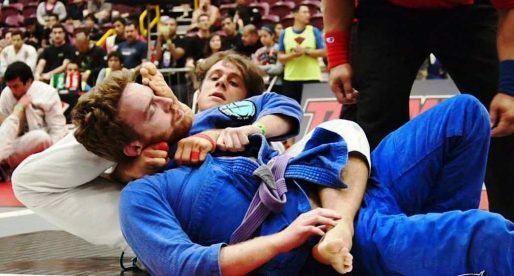 This was the last time someone with less than 1 year experience at brown belt was legally allowed to compete as a black belt in an IBJJF tournament. On his second year at black belt (2008), Caio reached the top spot of the IBJJF World Championship, winning one of the few important titles still missing in his long list of accolades. Caio moved to the United States of America in 2008, after an invitation made by Cesar Gracie who saw potential in the young grappler. Terra remained at Cesar’s academy for 4 years, leaving on November 2012. The reason given for the dismissal by the Gracie was founded on Caio’s assistance to Carlos Condit on his ground game ahead of Condit’s fight against George Saint Pierre (UFC 154). Cesar Gracie was very vocal to the media at the time, stating that he saw Terra’s work with Carlos as a betrayal against his own camp due to Condit’s status as a welterweight title contender (same weight division as Gracie Elite team member Nick Diaz). 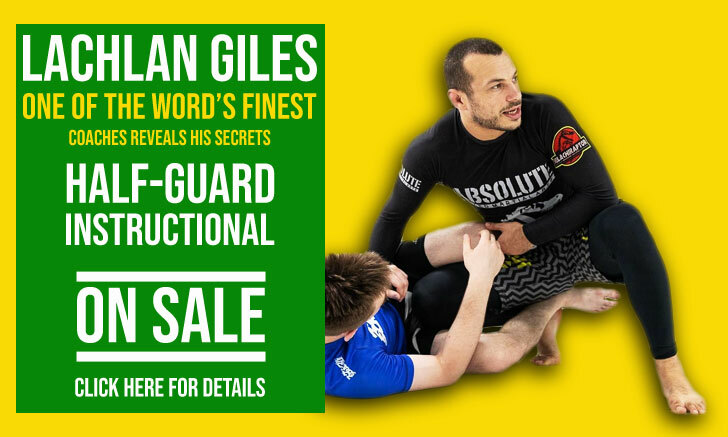 When in the United States Caio Terra became famous for his successful incursions to the sport’s absolute division, conquering several important IBJJF gold medals, being the first truly successful roosterweight in history to do so at the highest level. His wins in the open weight paved the way for numerous other lighter weights to compete in that division, setting a trend in modern day jiu jitsu. 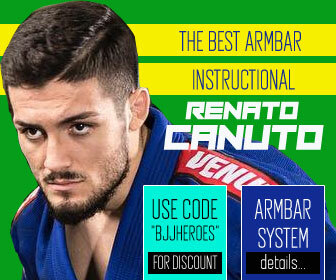 Since establishing his own team – Caio Terra Brazilian Jiu Jitsu Association, Caio formed several high level competitors, also developing numerous positions, helping advance the technical aspect of the sport. 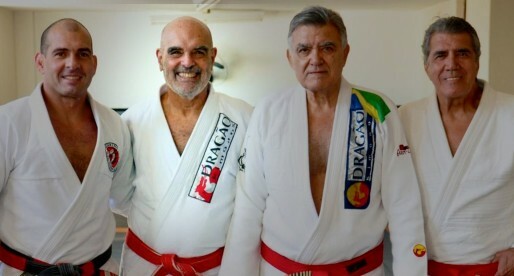 Both Caio Terra’s mother and brother (Kim Terra) continued competing and training with his brother becoming an accomplished black belt of his own merit. Cover photo by Flavio Scorsato for War Tribe. "Caio received his black belt from Reylson Gracie and Paulo Strauch on July 2006"…. "successively reached the podium of a World tournament for 3 years in a row (2005 Silver Medal Blue Belt, 2006 Bronze Medal Purple Belt, 2007 Silver Medal Brown Belt)." if he recieved his Black belt in 2006, how did he win silver at brown belt in 2007. Just saying…. Hi Po, that is a good point. I saw that title on an interview and added it, but I just tried to match it with my database from the World Championships and his name does not pop up on that year. I have deleted that 2007 title from this page. Thank you very much for spotting that out for me. a "briga "q resultou na saida dele da BRASA (check mate só surgiu muito depois) nao foi com os treinadores, mas apenas com um deles. Caio got his black belt after winning the 2006 World Cup as a brown – he fought at the Mundials in 2007 as a black belt and lost in the quarter finals in light feather division by referee's decision to Carlos "Esquisito". Caio' mother is training at Nova União with João Roque, in Brasília, where she lives now. Caio’s mother is now a purple belt in jiu-jitsu. Caio’s brother (my self), is a black belt under Ricardo Vieira, and has beaten a few guys listed in this website, such as Baret Yoshida, Pablo Silva, Teodoro Canal, Leonardo Saggioro (Cascão), among others. Lets get Kim Terra a BJJHEROES profile page! A page on Grand Master Strauch needs to be completed!!! It says: "Caio received his black belt from Reylson Gracie and Paulo Strauch" but the official Caio Terra Web Site says REYSON Gracie. Reylson is other Gracie brother. Caio is with team Brasa now.. under Felipe Costa and Rodrigo "Comprido" Medeiros. How is Paulo Strauch a red belt and Reylson Gracie is still only 8th degree? 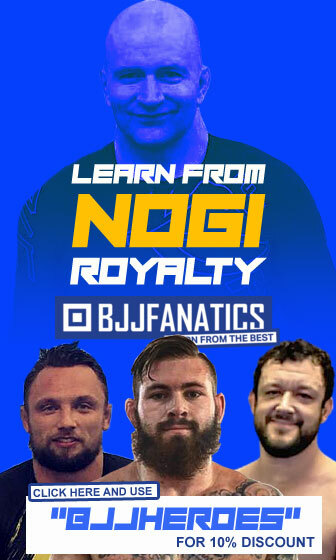 Has anyone figured out how the Gracie family decides on who get what rank? Carlos Robson is the most senior member of the family and he runs tho confederation. Shouldn’t rank go through him? Went to one of his seminar. Great technique and details oriented but not the nicest person you will ever meet. Caio also won the NoGi worlds in 2013! He’s 8x BB World champion! Caio beat Fabio Passos by points at pans 2015 not armlock. He had armlock but time ran out. Caio won nogi worlds 2013 and 2014 also. 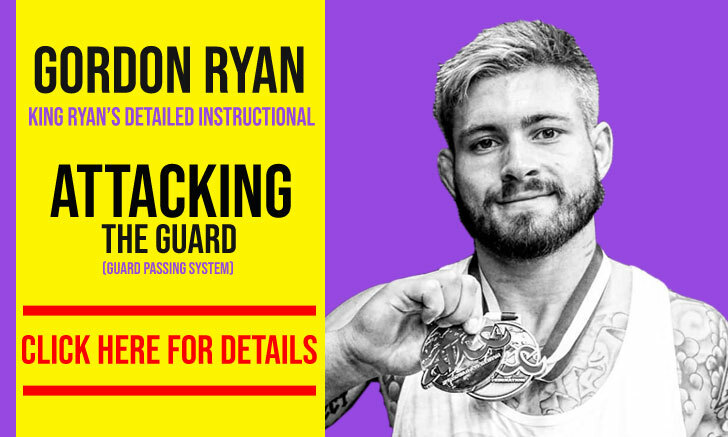 He is a 9x world champ total with 7 consecutive nogi world titles. What happened to the result part of this profile. And how come some profiles don't have the match results? We are trying to get more results from Caio since we only had 90 odd results and he has competed over 200 matches. We will have it back on when the results are more complete. Why not just keep the 90 matches on display and add the others later if you get them? Hope to see them back up soon. Caio & Kim both are great.